Winter has arrived, and it is sure to bring us our fair share of ice and snow. Reduce your chances of being involved in an accident while driving around the Glens Falls Region in unfavorable weather conditions by following a few basic safety tips. It is a good idea to keep warm winter clothing, a blanket, and a flashlight in your car throughout the winter season. Always make sure you have your cell phone fully charged. In the event you do go off the road or break down, stay in your car and wait for help to arrive. If your main worry is being late, then leave early; never drive fast during a winter storm. People who drive at a reduced speed are much less likely to be involved in a serious car accident. If you find yourself driving on snow, black ice, or slush, you'll be able to control your vehicle better at a slow speed. 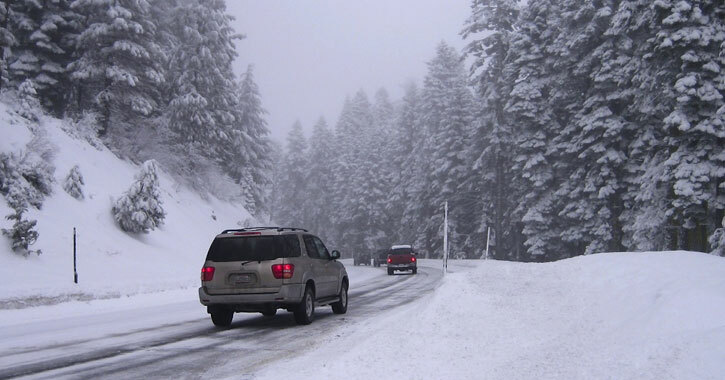 Although it can be difficult during a winter storm, you'll want to maintain your distance from other vehicles. Slippery road conditions can make steering and braking much harder, and if you're having trouble, it's likely others are too. The last thing you want to do during a winter storm is slam on your brakes! If you are following at a safe distance and driving at a reduced speed, you should be able to come to a stop by slowing down well in advance and slowly pumping the brakes. Exit ramps, intersections, and bridges are three areas where you'll want to be extra cautious. Ice and slush can build up around these areas, especially if the road goes downhill. Your headlights not only help you see in poor weather conditions, they also help you to be seen by other drivers. If you need to pull over on the side of a road, make sure you turn your hazard lights on too. This applies to driving year-round! A tractor trailer is almost ALL “blind spots,” so don't follow too closely! If you can’t see their side mirrors, the driver can’t see you. If you must pass them, do not linger at their side where they will not see you and may attempt to change lanes with you there. Do not cut off a tractor trailer. Even in the best driving conditions, these giant trucks cannot stop like a regular car.